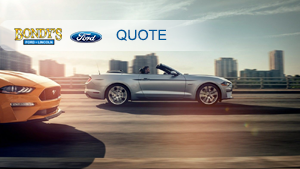 Are you interested in getting a quick, no-strings-attached quote on the Ford car of your dreams? Then you will be happy to know Bondy's Ford Lincoln has you covered. Regardless of what type of Ford automobile strikes your fancy, we have no doubts what you need for your daily drive is waiting for you at our dealership. What makes this process even better? Asking for an offer from Bondy's Ford Lincoln not only ensures you have the chance to take advantage of pricing that is second to none, it is also a quick and easy process that will never mire you in hours of unneeded documentation or ostensibly endless phone calls with aggressive sales representatives that are looking to do nothing more than force you into a rushed or hurried decision. If this looks like the kind of experience you are looking for as you launch the pursuit of the right new Ford vehicle for you, then make it a point to follow along with us as we offer up a little extra insight into how we develop quotes. From here, you should have all of the details you need to send in an estimate inquiry and get started on the way that leads to the most effective car, truck, or sport utility vehicle (SUV) for your everyday regimen. What Goes into a New Automobile Price Quote from Bondy's Ford Lincoln? Keeping You Relaxed and in Control — Even though other dealerships might use a new car price quote request to run you through a series of underhanded sales pitches and other aggressive tactics aimed at pushing you in the direction of a rapid acquisition, we instead emphasize a hassle-free approach that comes with no commitments and strings attached on your end of the endeavor. Customized to Your Unique Needs — Each shopper has distinctive constraints that influence both their budget and shopping experience, so the team here at Bondy's Ford Lincoln accumulates as much info as possible when building an individualized estimate to ensure this offer harmonizes precisely to your specific needs and considerations. 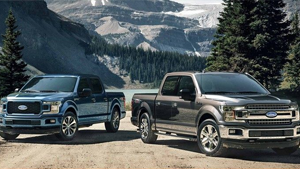 Certified Ford Specialists on Your Side — Only experienced Ford financing experts that have years of experience and training are allowed to carry out the actual undertaking of designing an individualized new car quote for you. Privacy That Will Never Be Compromised — After filling out the new automobile price estimate form offered up below, you can take confidence in the fact that your confidential info is managed with the care, consideration, and confidentiality necessary to guarantee you will never be put into a troubling situation in the online world. After addressing all of these facts, odds are you can count on at least one thing: Bondy's Ford Lincoln is ready and willing to ensure we always offer up the most dependable, budget-conscious, and customer-friendly new automobile price quote approach in the auto market. As remarkable as offering up the best possible new vehicle estimate for each client is, the team from Bondy's Ford Lincoln also refuses to be undersold. While it is far from likely given how much time and effort the Bondy's Ford Lincoln team puts into crafting the most reasonable price points in Dothan, there are some instances when such an uncommon event might pop up. If you suspect you have come across an offer that supersedes our estimate on the automobile that stands out to you, feel free to let the Bondy's Ford Lincoln team know at once, so we can get to work on correcting this issue. Once we are conscious of this issue, the group of dependable automotive professionals found here at Bondy's Ford Lincoln will do all they can to not only match this price, but also offer up a recommended car price point that brings even more benefits to you. The best part about our pledge to our friends in Dothan? This ironclad devotion to your happiness applies to any and all automobiles found within our inventory, so you can take comfort in the realization that the best possible estimate for you will always be found here at Bondy's Ford Lincoln. Undoubtedly, going above and beyond in this manner is far from the status quo in regard to how other dealerships conduct themselves. However, when the conversation turns toward doing right by shoppers here in Dothan and offering up the fairest and most reasonably priced quotes possible, anything less than the best is simply not acceptable for people who bring their business through our front doors. Can Bondy's Ford Lincoln Supply Me with a Fantastic Quote on the Ford Automobile That Works for Me? Now that you are up to speed with all of the things that go into the new automobile price estimate process here at Bondy's Ford Lincoln, there is really only one subject left to tackle: How you can take advantage of the perks that come with receiving a new vehicle quote from the experienced Ford team here at Bondy's Ford Lincoln. To get things going on this front, simply take a few minutes out of your day to fill out the form shown on this page. Once we acquire your info, a member of our experienced Ford team will get started on creating a estimate that more than suits your distinct needs. As always, we appreciate you stopping by the Bondy's Ford Lincoln website. If you find yourself facing down more concerns, feel free to reach out to our trained staff via 334-539-5649 or stop by in-person to learn a little more about why more and more people in the Dothan area are driving right past other dealers and coming to Bondy's Ford Lincoln for their new car purchasing needs.